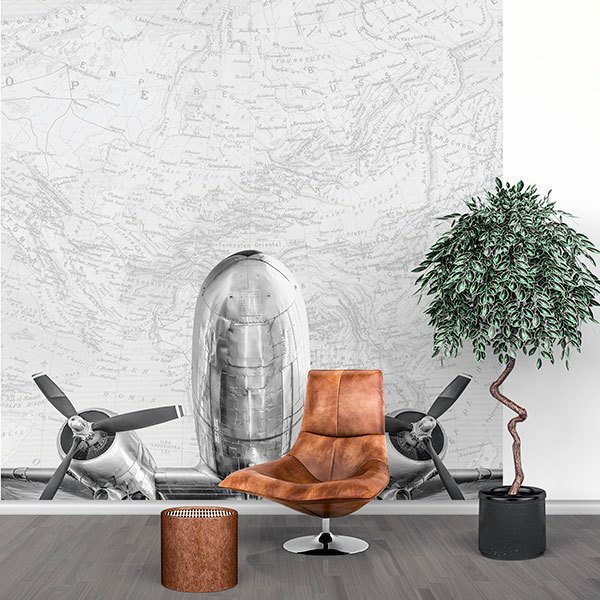 Wall mural Transatlantic Aircraft. 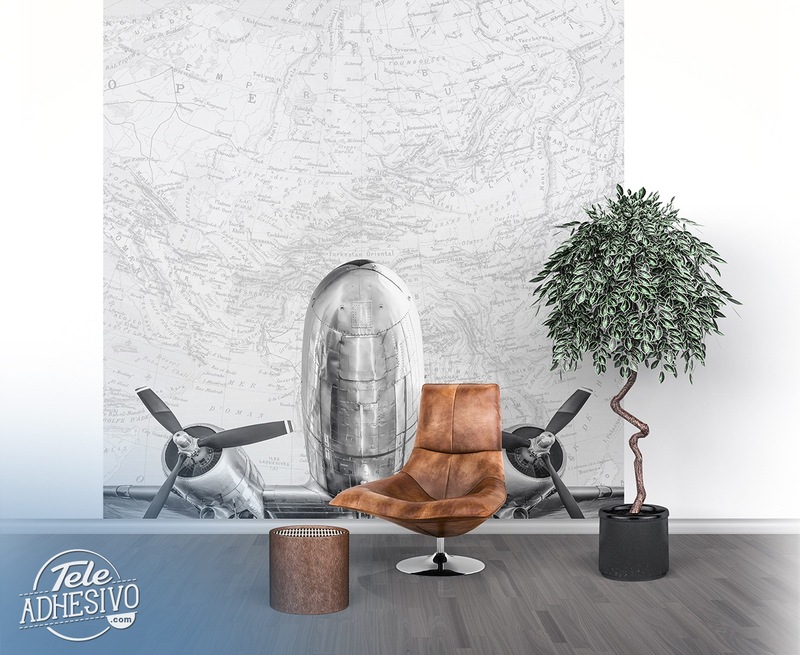 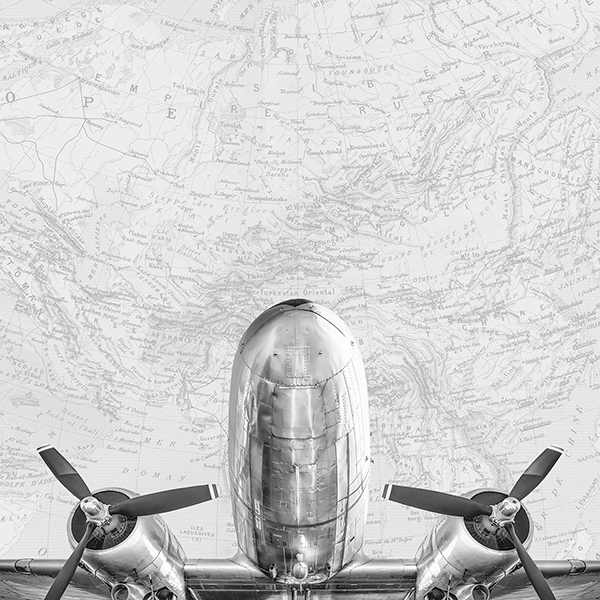 Magnificent black and white montage of an imposing old plane with the background of a map. Fabulous image for the more adventurous with which to decorate the wall of your favorite corner or entertainment room and rest with a personal touch.